Independent Study | Features | Kids VT - small people, big ideas! When Ana Kusserow-Lair of Underhill started seventh grade this fall, it wasn't at Browns River Middle School in Jericho. The 12-year-old girl stayed home, giving up cafeteria lunches and gym classes to join the growing ranks of Vermont's homeschooled students. In years past, Ana went to public school, which her younger brother, Willem, still attends. She struggled in math but was well ahead of her peers in language arts, according to her dad, Robert Lair. As a result, she wasn't getting the instruction she needed in either subject. Additionally, Ana didn't enjoy "the tenor of the classroom," her dad says, and often complained about social pressures and behavioral disruptions. So Lair and his wife, Adrie Kusserow, decided to take over her education themselves. 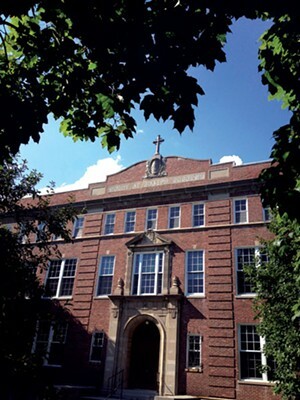 Lair and Kusserow both work at St. Michael's College in Colchester, where Lair is an adjunct professor of religious studies and Kusserow is an associate professor of cultural anthropology. Despite the fact that St. Mike's is a Catholic institution, there was nothing faith-based about their decision. "We were interested in a place where we could have much more control over our child's curriculum" than in a public or private school, Lair explains, "but we didn't want to do the day-in, day-out 'kitchen-table' routine. So we created a hybrid." That "hybrid" is the Mansfield Cooperative — a collective of five families with six children, ages 9 to 13, who meet anywhere from one to five days a week during the school year to share the responsibilities of educating their kids. Founded last year, the cooperative allows each family to create an individualized learning plan for their own children that combines one-on-one lessons in their own home with group lessons in a shared space in Jericho. They also take field trips in the community and participate in extracurricular activities offered by the public schools. Every other week, the Mansfield Cooperative holds "Freaky Fridays" — group outings for members of the cooperative and other homeschoolers in the area. A science lesson may be a visit to the geology department at Johnson State College. A history lesson may be a tour of the Vermont Statehouse. Art education may involve a tour of the University of Vermont's Fleming Museum, or a visit to a Burlington glassblower's studio. How has Ana fared in the cooperative thus far? "Absolutely beautifully," Lair reports. Typically, she spends her mornings in class with other kids at the cooperative. In the afternoons, she goes to the Browns River Middle School for chorus, field hockey and other activities. Her academics also involve a couple of hours of math and language arts taught at home. "It's a real mixture," Lair says. This kind of individualized approach to education is gaining ground in Vermont. According to statistics from the Vermont Department of Education, homeschooling has never been more popular in the state than it is today. The number of Vermont children in "home study programs" rose from 2064 in the 2002-03 school year to 2363 in 2011-12; some observers suggest the true number may be even higher due to parents who educate their kids under the radar. An increase of 300 students over a decade may not seem like a huge jump, but that occurred during a time of steadily declining public-school enrollment. Between 2002 and 2012, the total number of public school pupils in Vermont dropped from 99,978 to 89,428. Nationally, more than 2 million students in grades K-12 are educated at home — a number that's been growing at a rate of 2 to 8 percent a year, according to estimates published by national homeschool researcher Brian Ray. 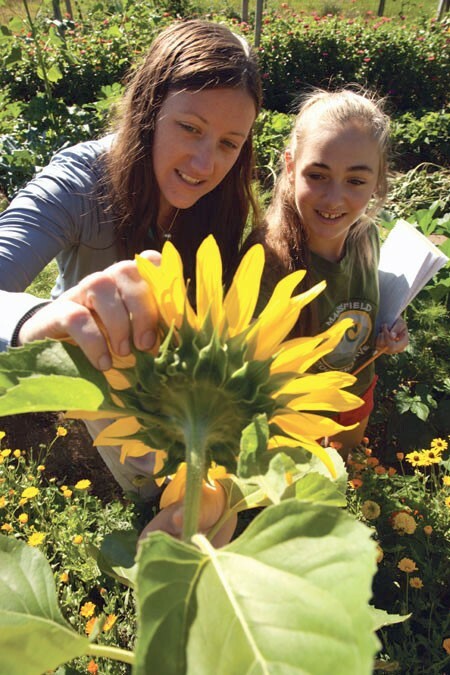 Vermonters' styles and approaches to homeschooling are as varied and unique as the children themselves. The Mansfield Cooperative's model is an innovative one. The cooperative's parents employ a director, Julia Lesauskis, 31, of Johnson. A former teacher at Montessori and Waldorf schools, Lesauskis is a firm believer in alternative educational approaches. She embraces the idea that different children learn in different ways and that new skills are best acquired and honed in a homelike setting where students feel more, well, at home. According to Lesauskis, the parents in her cooperative come from a variety of different cultural and educational backgrounds but share similar philosophies about academics. Most felt that their kids would benefit from the individualized attention that public schools cannot provide. They wanted a safer and more engaging environment where they could have more input and control over their kids curricula. And all wanted to create a learning environment that emphasizes the "whole child," while taking care not to isolate children from their peers. One mom in the cooperative homeschools her daughter because the girl skis competitively during the school year. As Lesauskis explains, homeschooling allows her student more flexibility to travel and compete than a public-school setting. Another family in the cooperative plans to bring their kids to Spain to learn Spanish. Lesauskis, who serves as an educational consultant to the cooperative's members, helped them pick out books for their months studying overseas. "It's cool that you can live and enjoy life to the fullest and not have a traditional 9-to-5 school experience," she adds. Other homeschooling parents choose a more traditional route. Lynn Caldwell of Milton has been homeschooling her sons, Ryan, 14, and Will, 12, since they were very little; both were reading by age 4, she boasts. However, unlike some homeschooled kids, Caldwell's never attended public or private school. She says her family's Christian identity played a major role in deciding how to educate the kids. "I want my kids' academic education to be inseparable from their spiritual education," she says. "That could never happen in any public school." How has homeschooling changed in the years since she first started doing it more than a decade ago? According to Caldwell, years ago there were maybe two or three curriculums for math, reading or social studies to choose from; today there are dozens, if not hundreds. That can be both a blessing and a curse, Caldwell notes, as more choices also mean more decisions to make. In the coming school year, she plans to utilize a homeschool cooperative for some classes, such as biology. On a typical "school day" in the Caldwell house, the kids start class at about 8:15 a.m. and go through 2:30 p.m. They get a 15-minute midmorning break and 45 minutes for lunch. That doesn't include other study time in the evenings, extracurricular sports and other activities. Like many homeschooling parents, Caldwell says she is often asked how her children will learn to get along with others if they're not attending a brick-and-mortar school. "My kids are involved in a ton of activities outside the home, lest anyone is concerned about their socialization," she says. Then she ticks off a long list of their weekly activities: piano lessons, Boy Scouts, martial arts, chess club, monthly field trips, and volunteer work at church and in the community. She points out that her sons interact frequently with people outside their own age groups. "How many times in your life are you only with people within 12 months of your age?" Lorraine Kelm of Milton also homeschools her two kids: Christopher, 17 and Nick, 13. Her older son has been homeschooled since first grade and the younger throughout his entire education. Kelm's Catholic faith was a factor in her decision to homeschool, though not the only one. Her first child had gross-motor and fine-motor skill difficulties that made it hard for him to relax in a school environment; he fared much better in a home setting. And the more Kelm researched homeschooling, the more desirable it seemed — for both her boys. "Now it's much more common and accepted," Kelm says, "but there are still people who think it can't be done and you're doing your child a disservice." Homeschooling definitely presents challenges. For starters, it's expensive. One popular misconception is that homeschoolers get a refund on their property taxes that pay for the public schools; they don't. As Kelm points out, all books, computers, software, curricula and other school supplies must be paid for out of their own pockets, which can run more than $1200 per child, per year. And, although Vermont is legally considered a "notification" state — meaning parents simply notify the Department of Education that their kids are enrolled in a home study program rather than ask permission — there are strict mandates for evaluating and reporting a child's annual progress. Those evaluations also come at a price, such as the cost of photocopying a child's art portfolio and taking standardized exams — yes, some homeschooled kids take tests such as the SATs and Iowa exams. In some cases, parents are required to pay for a licensed teacher to assess their child's abilities. Despite such hurdles, most homeschoolers report that the rewards far outweigh the expenses. Lesauskis suggests that the rising popularity of homeschooling in Vermont reflects larger changes underway in society, including parents working remotely rather than in an office setting. As she points out, the "traditional" style of education found in the public schools, with its emphasis on standardization, rote memorization and testing, arose during the Industrial Revolution, when children were being groomed to work on assembly lines doing repetitive and often mindless tasks. Lesauskis suggests that such an outdated educational model no longer serves children who are entering a 21st century global workforce that rewards creative, innovative, outside-the-box thinking. The rise of online classes and webinars has also expanded the options for homeschool lessons. Several homeschooling parents, such as Kelm, report that they've used Rosetta Stone language-learning software to teach their kids a foreign language. Parents also like that homeschooling allows them to better control their children's digital diets. "Our kids are so bombarded by media all the time, cellphones and all that, that we have a pretty strict policy about trying to keep electronics to a minimum," Lair says. "We take the best parts of it and leave the rest behind." Even the Vermont Department of Education, which supports and oversees the public schools from which these students are leaving, sees value in homeschooling. Vermont Commissioner of Education Armando Vilaseca says that he's now working with some homeschooling families to make the enrollment and evaluation process less bureaucratic. And he believes there are valuable lessons to be learned from their approach. "In all my years as a teacher, principal, superintendent and commissioner, my experiences with homeschool education have been very positive," he says. "I think that sometimes we try to emulate in our public schools the applied, hands-on, experiential learning that homeschool parents are already doing." Sounds flattering, but if the last few years are any indication, those parents aren't about to stop what they're doing and give the public schools a try. Lorraine Kelm of Milton claims that the biggest fear among prospective homeschooling parents isn't cost, stigma or socialization. "The biggest one is, 'Oh, my gosh! How do you do it? I could never spend that much time with my kids!'" Perhaps. But for those willing to try, the Vermont Department of Education offers a free, downloadable booklet on the DOE website entitled "Guidelines for Home Study in Vermont." This 50-page guide spells out what you need to know in order to comply with Vermont's compulsory attendance law. It also contains a home study enrollment form that must be filed with the DOE, as well as a list of other resources for developing a minimum course of study. For a more independent look at some of the legal and social issues around homeschooling, Addison County attorney and parent Kevin Kite has created the blog homeschoolvermont.com, which explains homeschooling parents' rights and responsibilities. Kelm also suggests that homeschooling parents contact their local librarian. Librarians are not only a great source of age-appropriate learning materials, she says, but many work closely with homeschoolers and can make introductions to others in the area. Homeschooling, she adds, is a lot like parenting: "One day at a time."